Our skilled physical therapists can evaluate and treat your condition using the most effective rehabilitation program possible, bringing together a treatment strategy that addresses physical, social and psychological aspects of your pain or disability. We pride ourselves at looking at the whole person, with the goal of reducing the pain and improving your ability to function normally in your life. We are experts in movement retraining, as well as in specific manual techniques like myofascial release, joint mobilization, massage and strain/counterstrain that complement each other well, working towards your rehabilitation. We will help you reduce further injury through education of body mechanics, gait and lifting training, and return to activity joint protection. 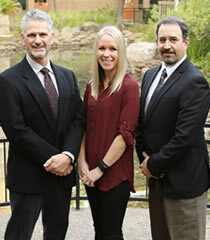 Our team looks forward to being your physical therapist for life. For more information or to schedule an appointment, call (916) 782-1217 x126.